a few months ago i wrote to the administration asking advice on getting my 1100 maxim running. it was working well 4 years ago when i had a low speed crash and cracked the stator housing. it wouldn't charge after that, although i managed to get it running long enough to limp home and park it. i had just replaced the cdi box and had a new clutch installed, so it seems a shame to junk it. a couple of days later i got a very helpful letter from T.C. Gresham, recommending that i seek out a member in my area to teach me how to fix it. last week i got the stator cover welded and reinstalled it. if i'm lucky, the rotor may spin without shorting out. 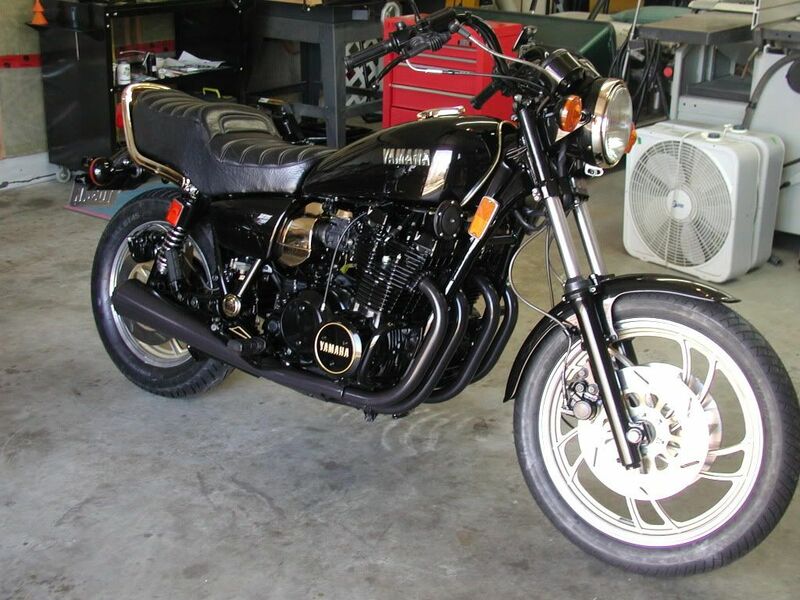 yesterday i talked with my old mechanic at the local yamaha dealership and got an estimate on what he would charge to clean/tune carbs, install new tires and valve shims and a battery. about $1500 canadian was the ballpark estimate. i don't mind the cost of the tires and installation so much as the 500 for the carb work alone. I'm not in your area, but I'm sure the people here could help out! I would first check the maintenance and repair section for an overview on the carbs. The carbs are the heart and soul of these bikes. They're also pretty easy once you get a grasp of what's inside it. As for the valve shims, doing the adjustment is also pretty straight forward. Just need a good feeler gauge and a few wrenches. I recommend picking up a Clymer manual for the bike. I keep one with Roxy as a sort of 'bible' on fixing the XS11. Good luck finding someone in your area! I'm sure there's someone on here nearby. thanks for your thoughts, seth. 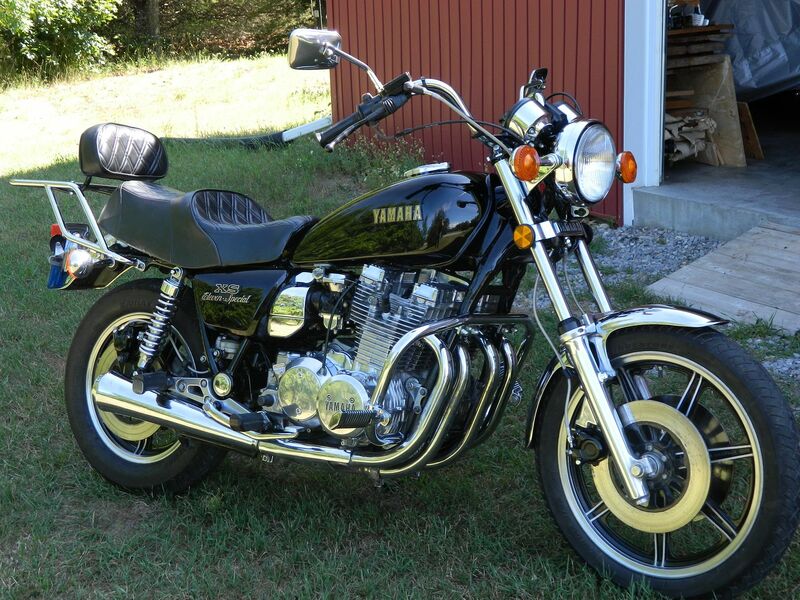 i'll read up what i can about the carbs - i do have the repair manual and owners manual for this bike. hopefully, someone in my neighbourhood will see this thread and look me up. These carbs are a hobby of mine. If your not comfortable doing them ship them to me with return post and I'll clean them up and send them back. If no parts are required your cost would be just shipping. blown away by your generous offer to help... i have gotten one carb apart and cleaned and plan to reassemble it before going on the the next one. the brass needle on the idle screw was ridged and deteriorating at the tip, so i used a fine diamond hone to sharpen it like a pencil. i noted the number of turns it was open before dismantling so i ought to be able to get it close to where it was. there was a lot of green crystalized buildup in the float chamber and on the floats. is that from old fuel reacting with the copper of the floats? i didn't find any o rings on this carb when taking it apart. do these ones not have them? These carbs are a hobby of mine. Mack, here in the states we call what you have an obsession! Dave, if you get tired of messing with those carbs, take Mack up on his offer...they'll be perfect when you get them back. But the more you fool with them, the more you'll understand about 'em...have fun! ... the brass needle on the idle screw was ridged and deteriorating at the tip, so i used a fine diamond hone to sharpen it like a pencil. The first two years of the XS had sharp pointed pilot air screws which were very prone to breaking off in the orifice if they got tightened down too much. The last two years had blunt end needles with a pronounced step down, something that might be called a shoulder or ridge. I'm pretty sure the XJ screws were more like the later year XS screws. Actually Ken, the opposite is true. 80-81 XS/XJ has the pointed mixture screws that tended to break off when over tightened . BTW, nice to see you post on occassion . Hey, it's just leftovers from that accident, or CRS setting in. Ken IS correct on the screws. Sorry all, I definitely had it backwards as far as those mixture screws . thanks all, for the input re: the mixture screws. i'll find out soon enough what the screws on the other three carbs look like. the one i "fixed" sure looked like it was not right and had maybe been screwed down too tight and gotten gouged by the edge of the hole it should not be touching.